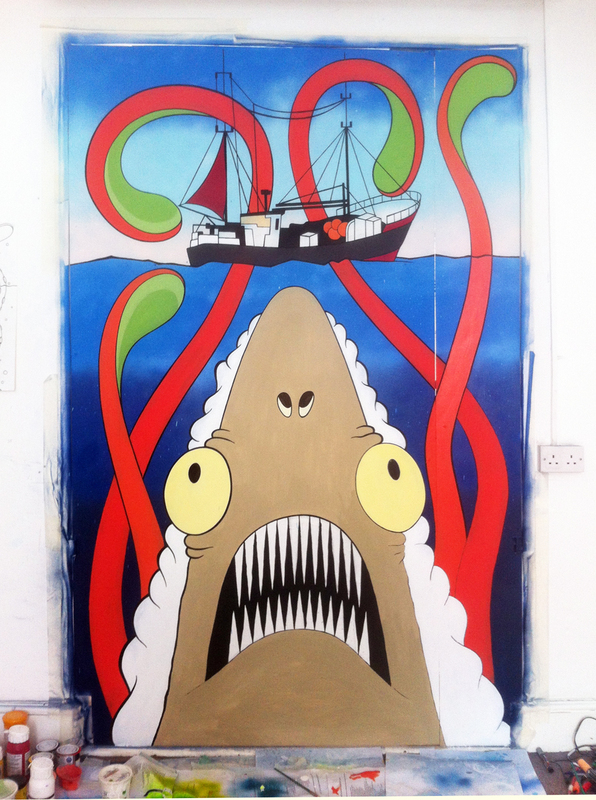 Live painting produced on 8ft x 4ft board, during Newlyn Fish Festival 2012. Spray Paint, Acrylic and Posca Pen on board. 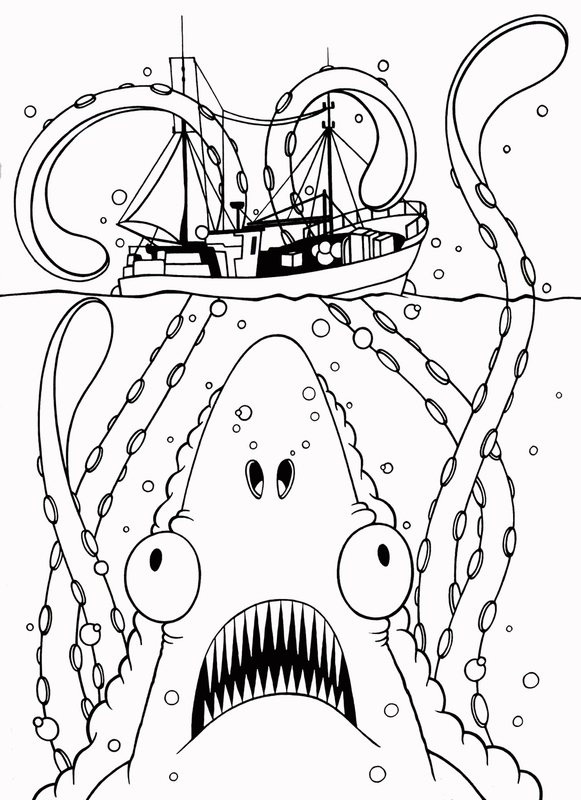 Original drawing for design painted at Newlyn Fish Festival. Pen on A1 Paper, Mounted and Framed.